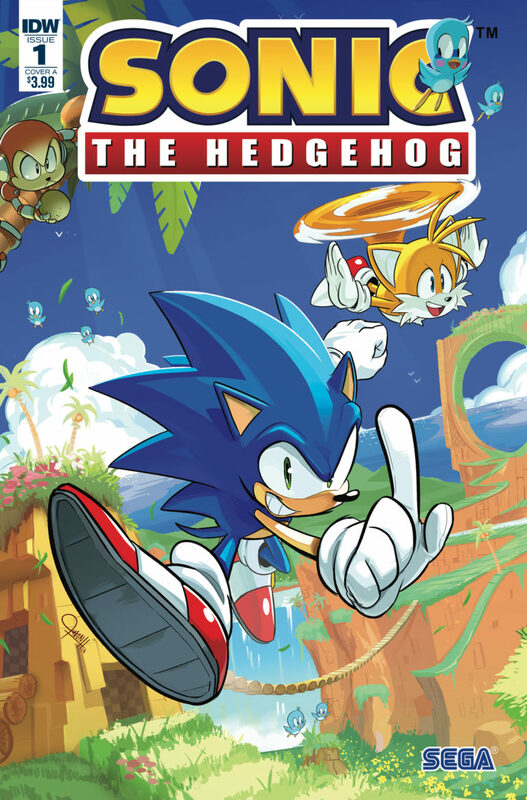 For any Sonic fan, the revival of the fan-favorite and long-running Archie series by IDW is a welcome gift. For newcomers to the series, the 90’s video game icon is as action-packed as ever. With themes pulled from past issues and the newest game, Sonic Forces, I was intrigued by a simple introduction plot. Returning writer, Ian Flynn, did a great job keeping the action fluid. At the beginning, Eggman (Dr. Ivo Robotnik for those that haven’t followed the series for a while) is defeated, his Badniks are running the planet in leaderless destruction. In this issue we find out that the Badniks are starting to get more coordinated with their assault on different communities around the globe after being without Eggman for so long. Sonic must continue the fight to save as many people as possible while being vigilant for the return of Eggman. The issue ends on a cliffhanger and we get to see the forces of evil focus it’s attention on another classic character from the series. As a Sonic fan, I’m glad we get to see the Sonic series live on. I enjoyed this issue and look forward to see where the story goes. I didn’t get instant gratification with just the introductory plot, but I did with the promise of what is to come.